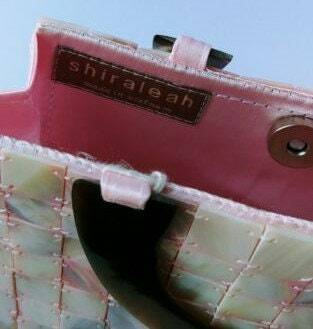 Love this Shiraleah brand Lucite bag in shades of pink. Sweet. This never-used vintage bag still has the original tag! Day to evening look. 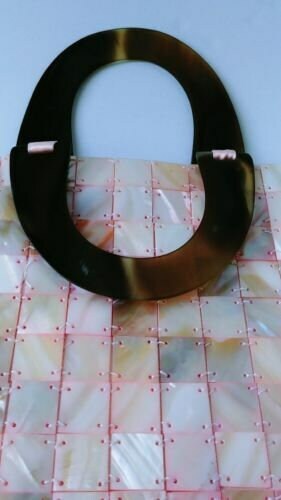 Double Lucite handles in a tortoise shade. 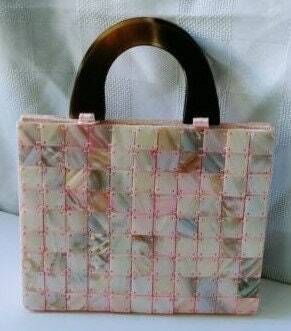 Spring opening with magnetic closure. 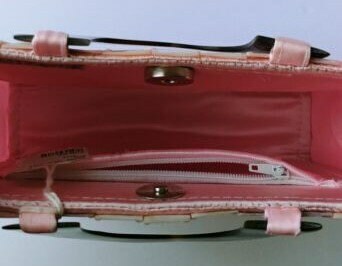 Pink satin interior with one zippered pocket is pristine. 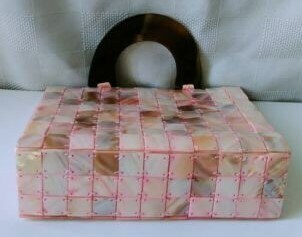 Dimensions: 7 inches long x 6.25 inches tall x 2 inches wide on the bottom.